November 29th in WordPress Themes by Wordpress Jedi . All product developers know the importance of providing top notch support to their customers. You should not only be prepared to help solve your customers’ problems but also provide prospects with questions to their answers. Putting together an answers site for your products could help with that. 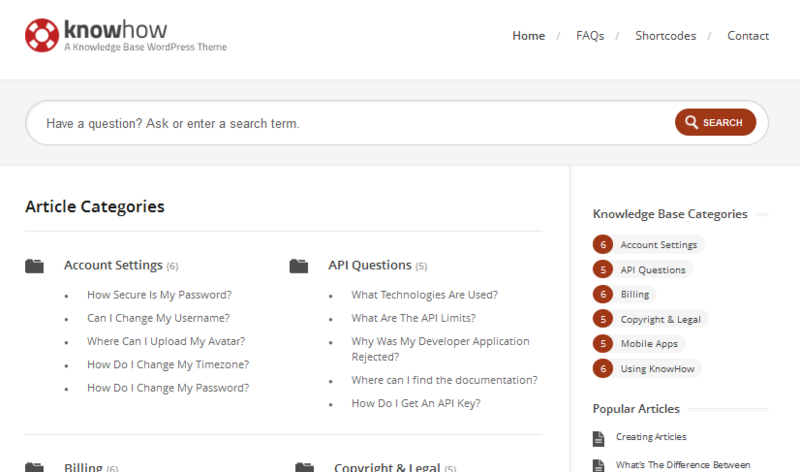 KnowHow for WordPress is an elegant Knowledge Base theme you can use for that purpose. KnowHow has a quite an elegant look and feel to it. For starters, it is responsive. That means it automatically resizes to fit smaller screens without any major bleeding. It also has a “live search” feature that saves your visitors time finding what they are looking for. The KnowHow theme comes with its own color picker. 4 custom widgets are included too. SEO is built-in but I always prefer using Yoast SEO or All in One SEO over that. KnowHow is developed using HTML5 and CSS3. It has shortcodes to save you time customizing how your content looks. Videos are supported too. 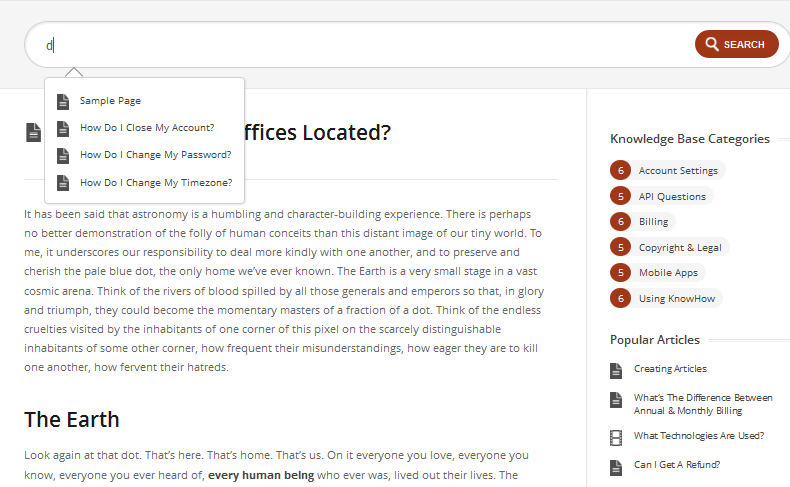 This is one of the better FAQ themes we have tested.